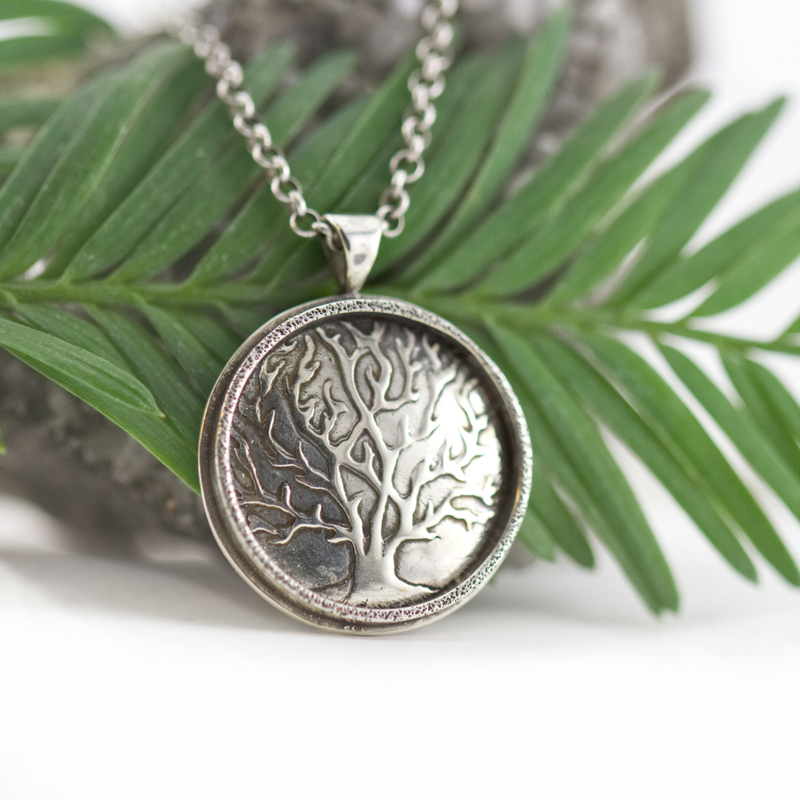 The Deep Roots with Border Necklace is handmade with PMC fine silver clay. 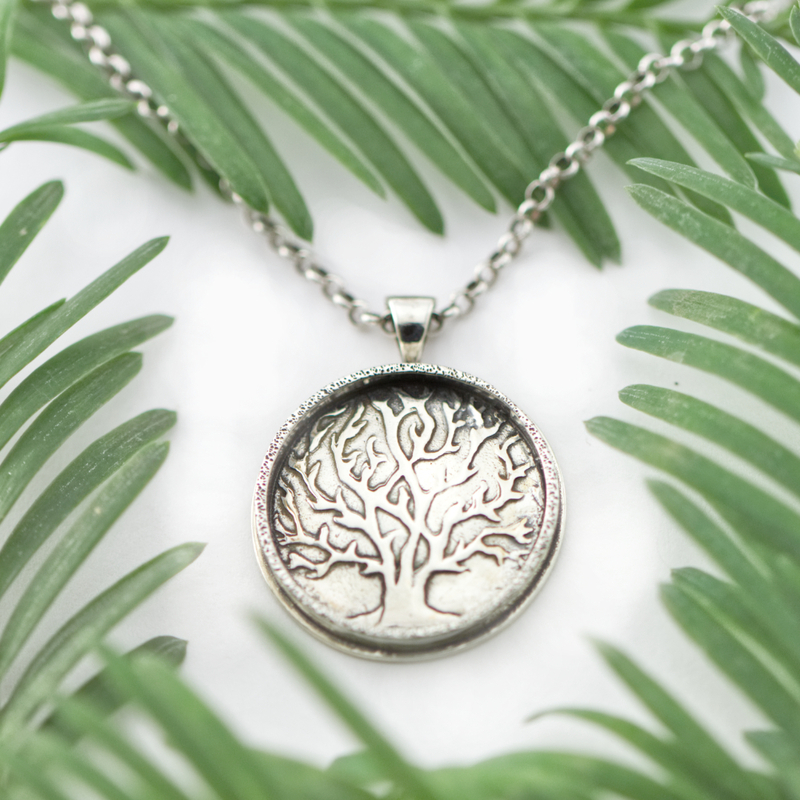 The tree design is hand-drawn and named deep roots to represent digging deep and living our lives with meaning and authenticity. When worn this necklace is quite the statement piece. This necklace is in stock and ready to ship. I designed the Deep Roots Tree pattern using a technique I created with a porcelain bisque-fired stamp and sandblaster. Are you interested in learning more about my process? Here is a post I did to describe my technique. The pendant is created with PMC and then formed into a cabochon shape. I then soldered the design to a sterling silver back plate and border. The border has a beautiful diamond texture. 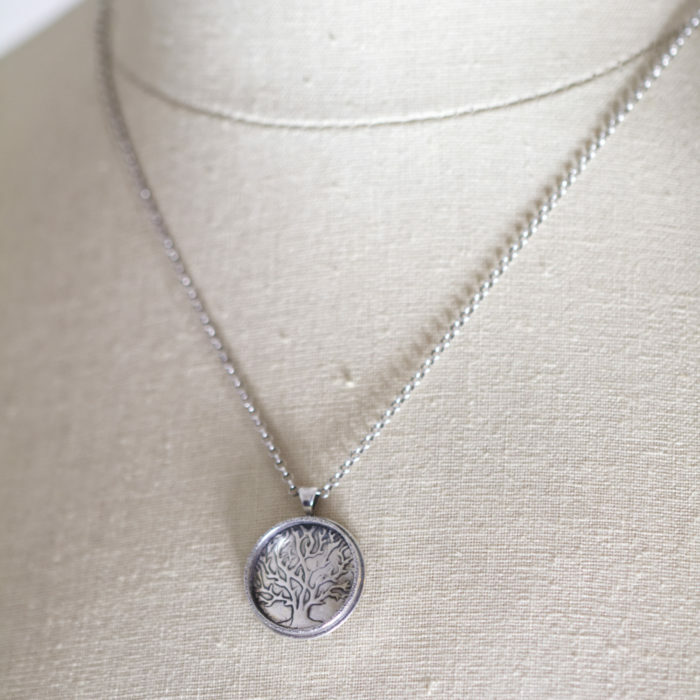 The pendant sways on a delicate sterling silver rollo chain. 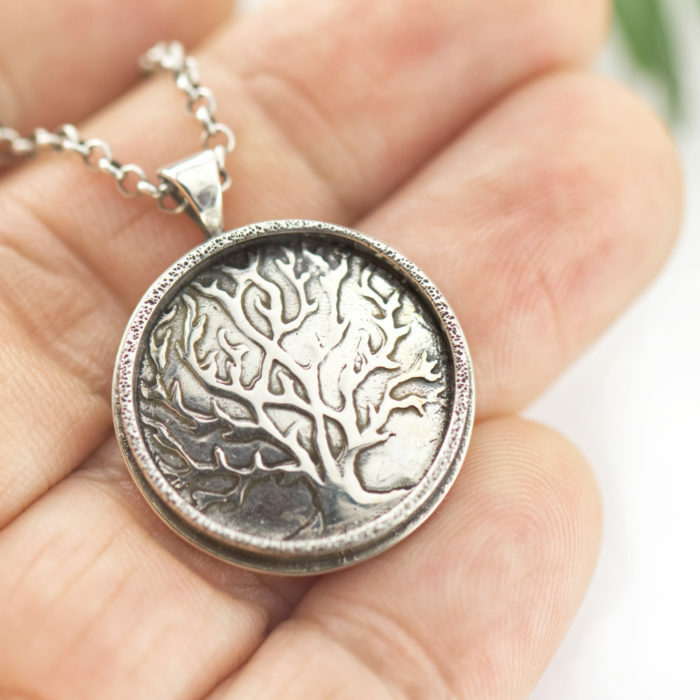 The pendant and chain have been given a tarnished look to bring out the detail of the design. Necklace is finished with a sterling silver lobster claw clasp and the back is stamped with my makers mark. For a peek inside the studio and to see latest creations, follow us on these social media sites.